April 19, 2011 — A study just published in the Journal of Manipulative and Physiological Therapeutics (JMPT), determines that Foot Levelers’ Associate Platinum digital foot scanner is an extremely reliable tool to “measure footprint indices,” or more commonly known as measuring the indicators of foot imbalances. The study, conducted by Papuga and Burke, demonstrates the reliability of the Associate Platinum hardware when used by several different healthcare professionals. Images taken on different days will also accurately capture a patient’s footprint information.The Associate Platinum aims to give users the ability to produce colorized images of their patient’s feet in order to detect excessive pronation or supination, and other foot abnormalities that lead to dysfunctions in the gait cycle. Based on the latest research published in JMPT, the ability to reliably measure indices of footprints collected with the Associate Platinum foot scanner was valued in the good to excellent categories in the study. In addition, the digital collection of footprints collected by the Associate Platinum was found reliable between days and different clinicians. 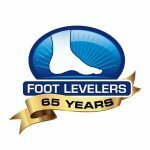 Foot Levelers’ Associate Platinum is designed to enable healthcare professionals to screen for foot imbalances that can lead to postural problems through the entire body. Associate Platinum is being used by a large percentage of chiropractors in the United States, Canada, and 39 other countries internationally.